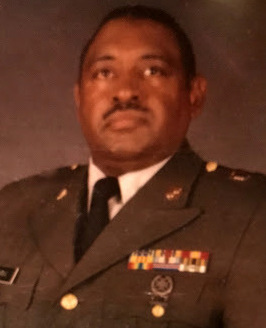 Obituary for Earl Edwards | Hooper Memorial Home Inc.
Mr. Earl Edwards, son of the late Mrs. Dorothy Edwards Rouse and the late Mr. James Earl Edwards, passed away surrounded by family on Wednesday, November 28, 2018. His grandparents, the late Mrs. Hettie Mattison and the late Mr. Alford Mattison (known as Daddy Pat) raised him in Greenville, South Carolina. Earl was a graduate of Sterling High School in Greenville, South Carolina. He was active in the Long Branch Baptist Church in Greenville, South Carolina where he also was a member of the choir. Earl had a wonderful tenor voice. He served active duty in the U.S. Army from 1968 to 1969 and was deployed to Vietnam during his service. He was then in the U.S. Army Reserves for a year. He decided to move to Harrisburg, Pennsylvania from South Carolina. He took classes at the local community college in Harrisburg and happened to have seen who was to be his future wife on the campus of the college. A mutual friend formally introduced him to his wife, Beverly, in 1972. They married in 1974. Earl was a die-hard fan of the Washington Redskins Football team. He also enjoyed learning about and working on cars. He loved music, specifically old school music. He had an extensive collection of albums from the 1970s, 1980s, and 1990s. Earl also was a big jokester and enjoyed making others around him laugh. He enjoyed watching comedy shows and was excited to meet D. L. Hughley recently in May 2018. Earl is survived by his wife, Mrs. Beverly Edwards, a daughter, Dr. LeKisha Alesii of Durham, North Carolina (Mr. Erminio Alesii), and a son, Mr. Kevin Edwards of Harrisburg, Pennsylvania. He also has a granddaughter, Elena Paulene Alesii of Durham, North Carolina whom he adored. Also surviving is his sister, Ms. Karen Rouse of Detroit, Michigan. He is preceded in death by his sisters Ms. Marilyn Edwards, Ms. Sharon Rouse, and his brother, Mr. Stanley Rouse. He also had an especially close relationship with his cousin who was more like his sister with whom he was raised (Ms. Betty Jean Long). He also has sisters-in-law with whom he had close relationships (Ms. Vivian Waters, Ms. Shirley Jones, Ms. Winderlin Connor, and Ms. Gloria Jackson), and a host of nieces, nephews, and cousins. Earl was a champion to many people. He was known for helping anyone who needed it and was thoughtful in being an advocate for others. He was loved by all who knew him.